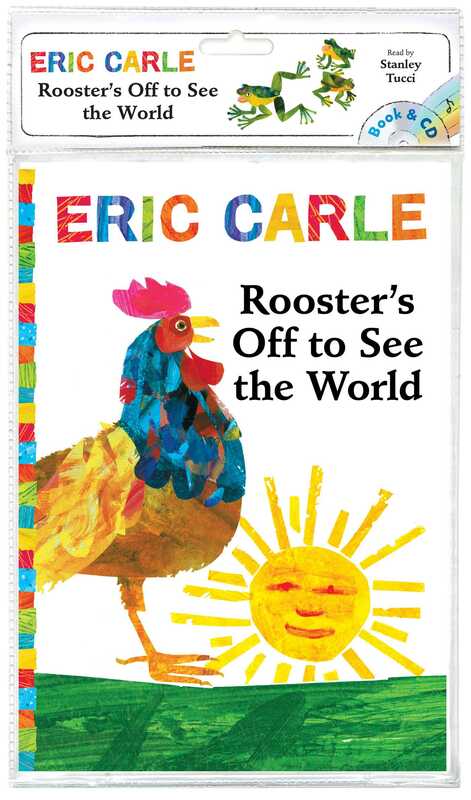 Eric Carle’s beloved tale, Rooster’s Off to See the World, now comes with a CD narrated by award-winning actor Stanley Tucci! Rooster has gotten tired of living on the farm, so one sunny day he decides that he wants to travel and see the world. But Rooster is feeling a bit lonely on his outing. So when he meets two cats, he invites them to come along. And then he meets three frogs, four turtles, and five fish who all join, too! But Rooster hasn’t thought about food or shelter. When his newfound companions head back home, the hungry and homesick Rooster eventually follows. He’s learned that while it’s wonderful to set out on an adventure, there’s nothing as sweet as coming home. 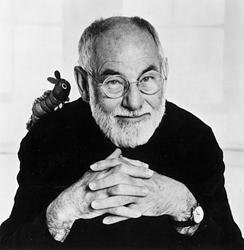 With his trademark collage illustrations and lively text, Eric Carle helps young readers count from one to five and then back down from five to one in this delightful story that’s now available as a book & CD narrated by Stanley Tucci!